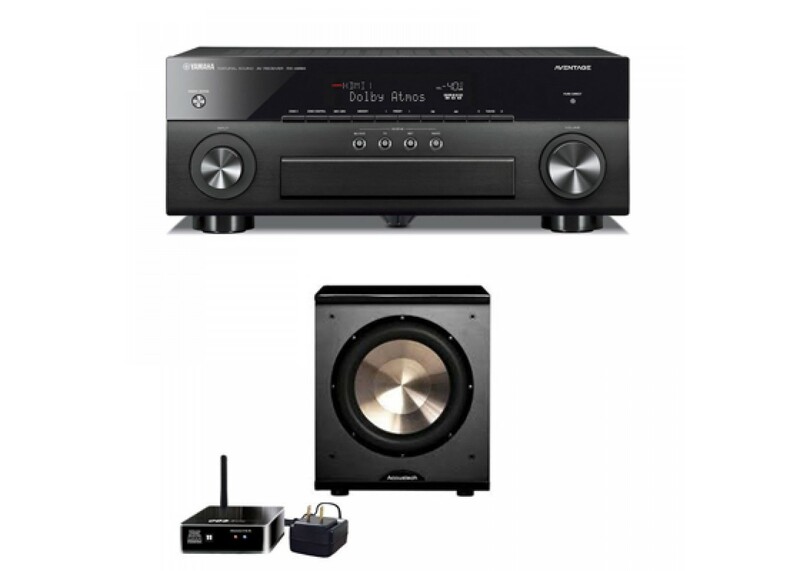 This 7.2-channel AVENTAGE network AV receiver features Dolby Atmos and DTS:X for surround sound realism. With the latest in HDMI technologies, experience movies in stunning 4K Ultra HD and high dynamic range (HDR). In addition, Dolby Vision and Hybrid Log-Gamma compatibility provide incredible contrast, smooth tone and rich, bright colors. The free MusicCast app makes it easy to access your music library and streaming music services. Add audio in up to 9 additional rooms with MusicCast wireless speakers or other MusicCast devices. Connect wirelessly via Wi-Fi, Bluetooth and AirPlay. Additionally, a phono input for vinyl playback, Zone B HDMI out and added Zone 2 control options provide added system versatility.